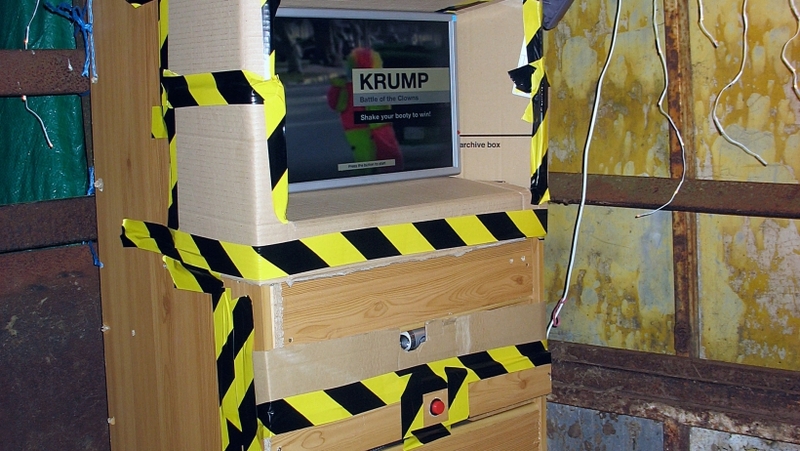 Free Dance Arcade game with motion detection based on the Krump Dance. The Game is based on a documentary on Tommy the Clown and the Krump (Rize by David LaChapelle). The players plays one after the other like in a dance battle. The arcade is equipped with a webcam that tracks the movement of the players. The more movement = more points. The game use video loops and banging tunes to bring groove, excitement and motivation to the players. The players use their all bodies and become true performers.